The building permit of the first CNG (compressed natural gas for vehicles) filling station, first in the series of 9 to be carried out under the CNG Romania project, has been issued. The station will be located in the Kika Militari area, next to the A1 Motorway, on Piteşti – Bucharest direction, 500 m from the roundabout, the exit to Hornbach Militari, with easy access from both directions of the ring of the Capital and A1 Motorway, as well as the exit from Bucharest. 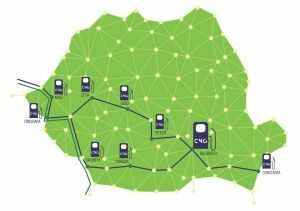 The station will be the first of 9 of the CNG Romania planned to be built in Arad, Timisoara, Deva, Pitesti, Constanta, Craiova, Drobeta Turnu Severin and Sibiu, assuming that they will be fully operational by the end of 2019. At the inauguration date, Denisson Energy and NGVA Romania, the partners in the project, intend to launch the first communication platform between the actors working in the CNG market in Romania, aiming to increase the awareness of the technology and the presentation of the advantages offered by this. 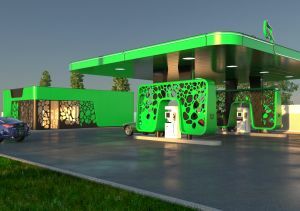 The project implemented by Denisson Energy and the NGVA Romania ( Natural Gas for Vehicles Association ), within the Connection Europe Facility ( CEF ), aims to implement the first network of filling stations for compressed natural gas vehicles in Romania along the pan-European corridors.